My chronological Bible then took me to the story about Jonah and the whale. A Sunday School favorite, the story is told of a disobedient Jonah who ran away to a boat instead of going to Nineveh as God instructed. Jonah was tossed into a raging sea to be swallowed by a whale, where he stayed for three days, before being spit onto the sand. As kids, we imagine Jonah dusting himself off on the beach, then skipping off to happily do what God told him to do in the first place – preach to the people of Nineveh. But scripture tells us his heart was still not in the right place. Jonah eventually obeyed God, but his attitude was still angry and bitter. Especially after God didn’t destroy the Ninevehites as Jonah had expected Him to do. I immediately began thinking of all the times when I obeyed God, but with only half-hearted enthusiasm. How similar have I been when God asked me to do something? I thought of the times I only half-heartedly responded because I was pouting that God didn’t handle the situation the way I thought He should. My prayer this morning is that I will seek to do God’s will with joyful obedience. As you pray today, remember His will matters most! 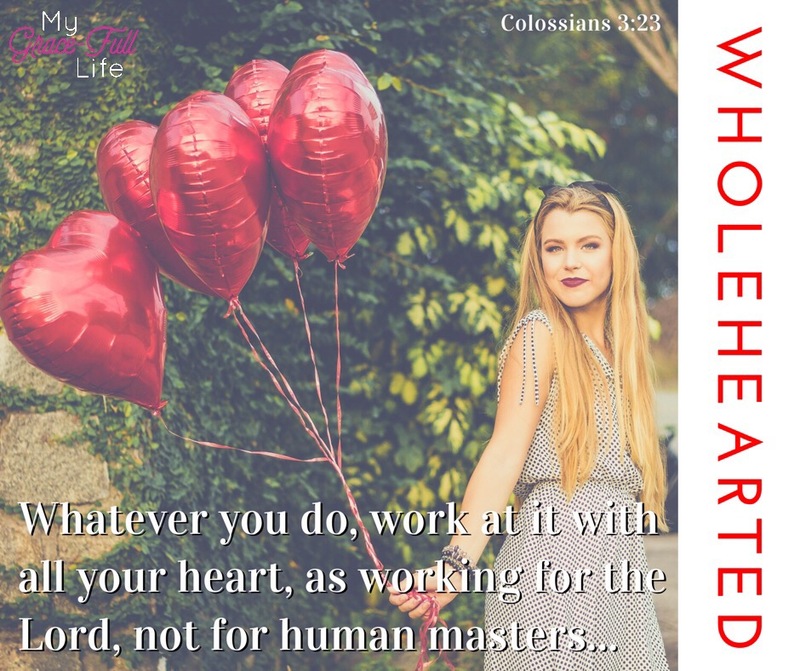 If you, like me, haven’t served with your whole heart, pray that God will give you a humble, servant’s heart, free from pride and defiance that question God’s plan when it doesn’t line up with yours. I love reading your daily devotions. It helps me so much. You are so kind; I’m grateful that God uses my words to encourage you!! !